If you need a rescue in remote Alaska, you hope it's the 212th Rescue Squadron who shows up. These are the para jumpers in the Air Force, also known as PJs. They have the skills and the gear to pluck you from anywhere. A famous example of their work was the rescue of Jack Tackle from Mount Augusta by Dave Shuman. Anchorage PJs are often in my avalanche classes. They are the unassuming students sitting in the back. The ones that are attentive and quiet, until it's go time. Bobby Schnell—one of the PJs—and I discussed training together for several years. This spring it happened. 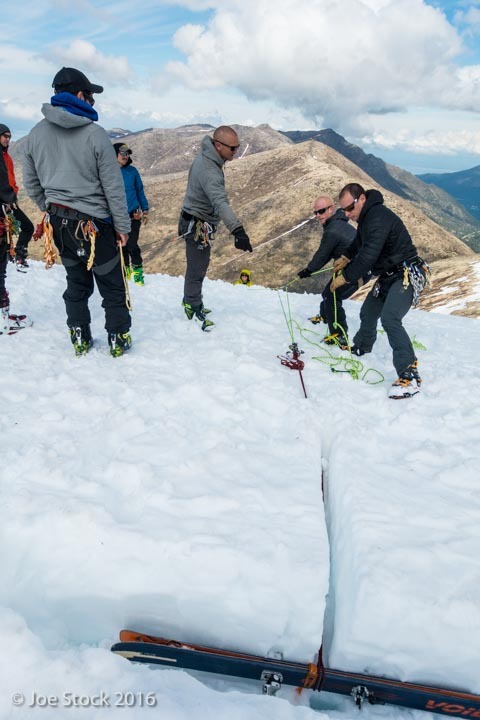 With two separate groups, we first practiced rock and ski mountaineering skills near Anchorage, then flew into the Alaska Range to apply those skills. Except for the second trip, where the Alaska Range wasn't happening, so we shifted to plan B.
Brock Roden on day one at Emendorf Air Force Base, making plans and sorting systems. 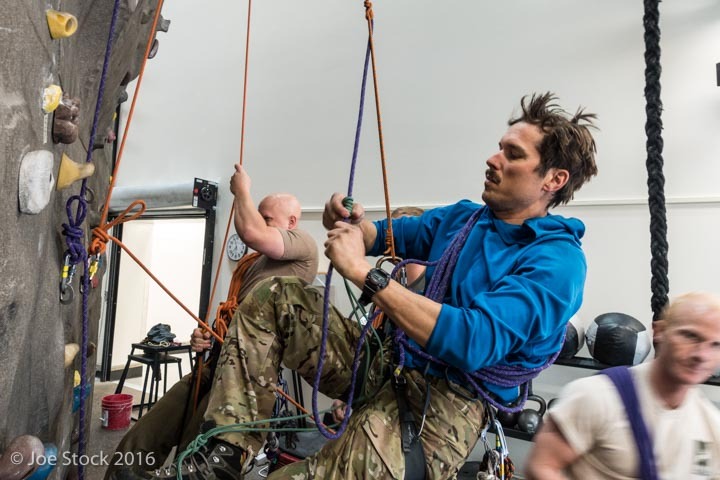 The PJs have more training than any 10 Mountain Guides combined, but their training is different than guides'. 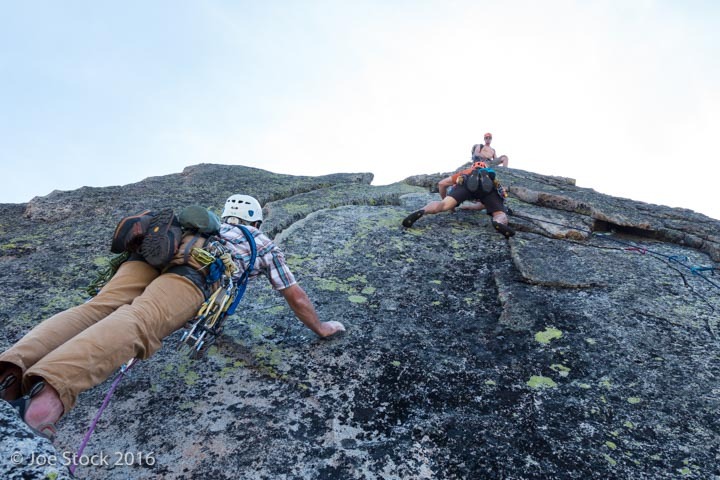 They wanted more lightweight mountain travel techniques to add to their arsenal of skills. 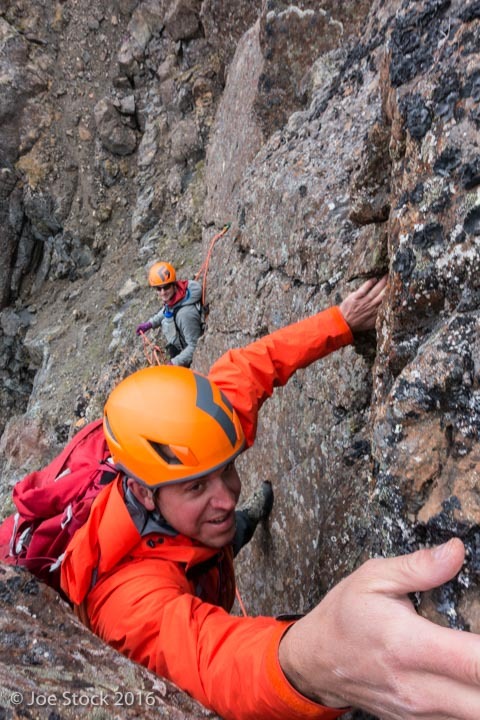 Multi-pitch climbing on the Seward Highway. 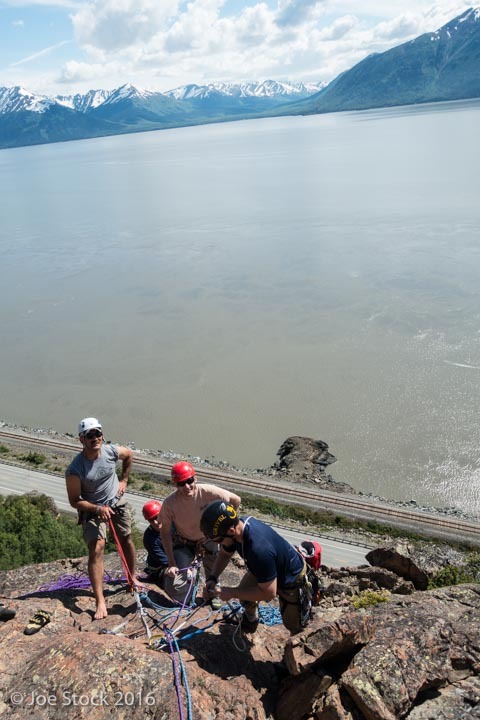 Although the Seward Highway ranks among the worst climbing in the US, the views are great and climbing starts at fun, and just gets better from there. 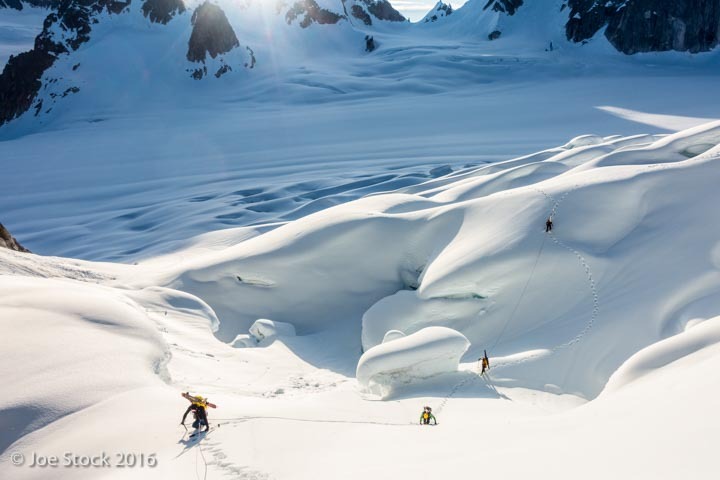 Ted Sieroncinski, belayed by Bobby Schnell, climbing ChugachChoss above Anchorage. 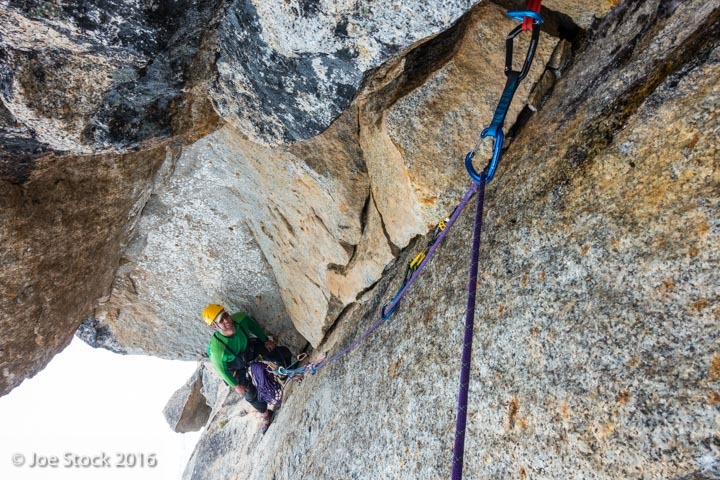 Near the top of Sunshine Buttress, a multi pitch 5.7. Standing is Matt Komatsu, the head honcho PJ, who is working on a degree in creative writing at University of Alaska in Anchorage. 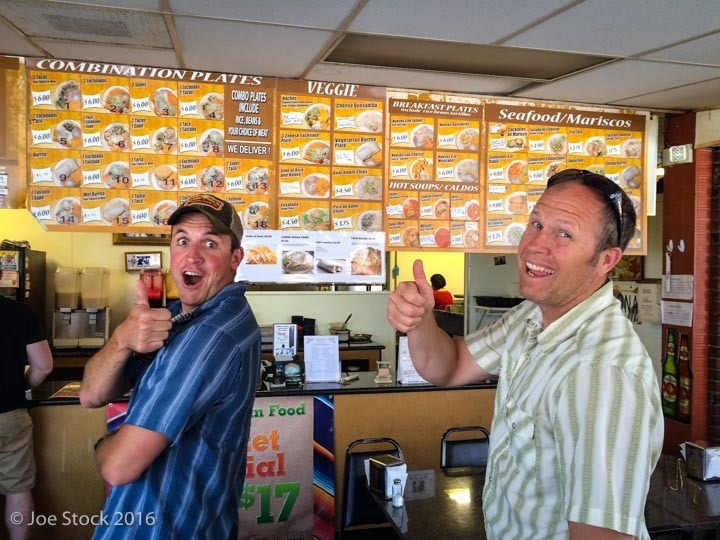 ShaneHargis (pointing) and I instructed together on the first trip. 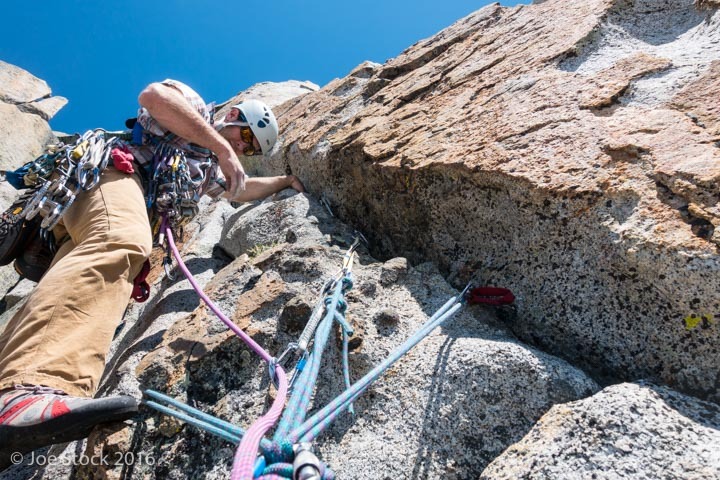 Shane has tons of experience from years of training Marines in Bridgeport California and from LOTS of personal climbing in California. His hands are like meat hooks from years of being crammed in California cracks. Although our training is different, it was very easy to work withShane. Shane and the PJs converted me to the 5:1 up crevasse rescue haul system, which puts less force on the anchor and uses less space. 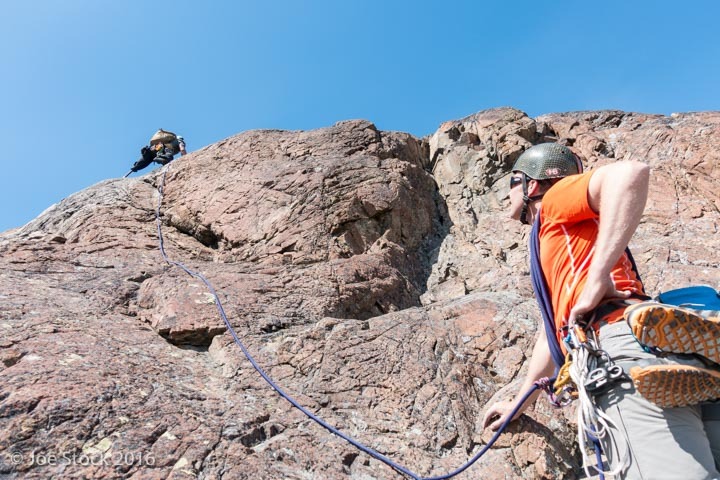 The Sterling Hollow Block is a standard autoblock backup for rappelling. One drawback to the Hollow Block is that it gets slurped into an BDATC Guide if used for progress capture, whereas standard six or seven millimeter cord doesn't get sucked in. 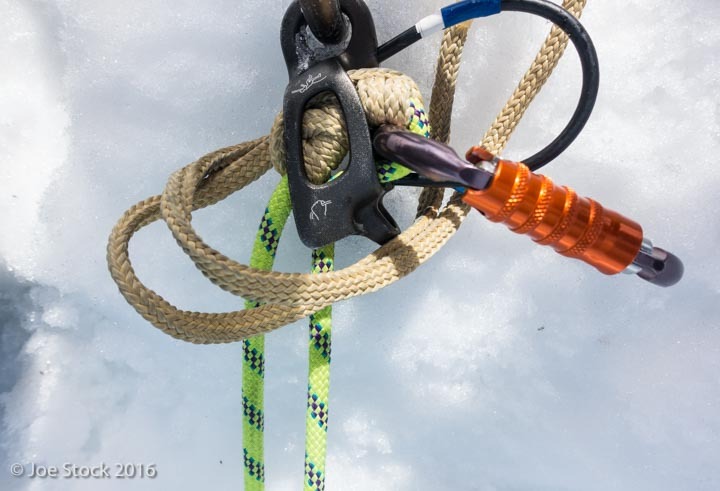 For ski mountaineering, where skinnier ropes are used, a better belay device would be an Edelrid Micro Jul (if you can figure out the confusing thing) or PetzlReversino, which are designed for skinnier ropes. 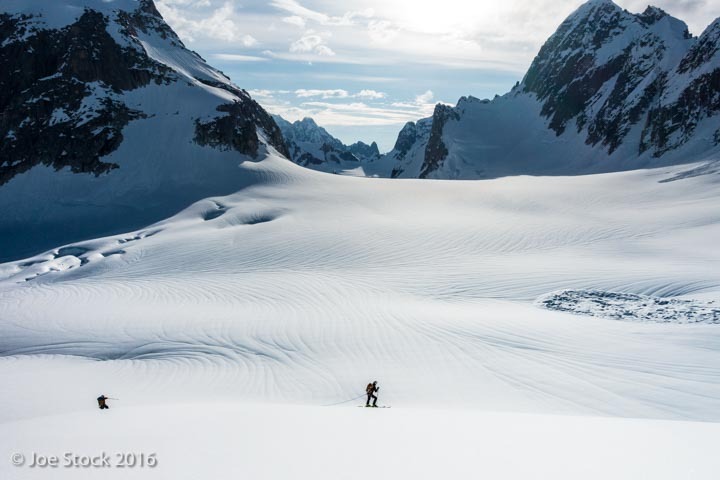 After a couple days of climbing and ski practice around Anchorage, we flew into the Pika Glacier in the Alaska Range. 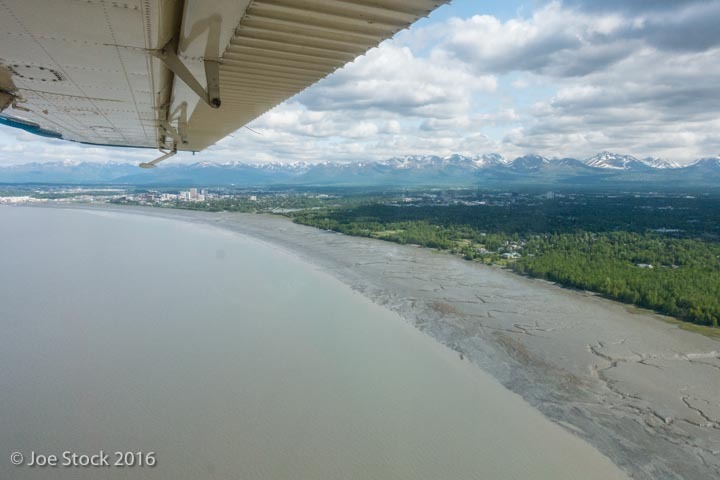 A one-hour flight direct from Lake Hood in Anchorage. 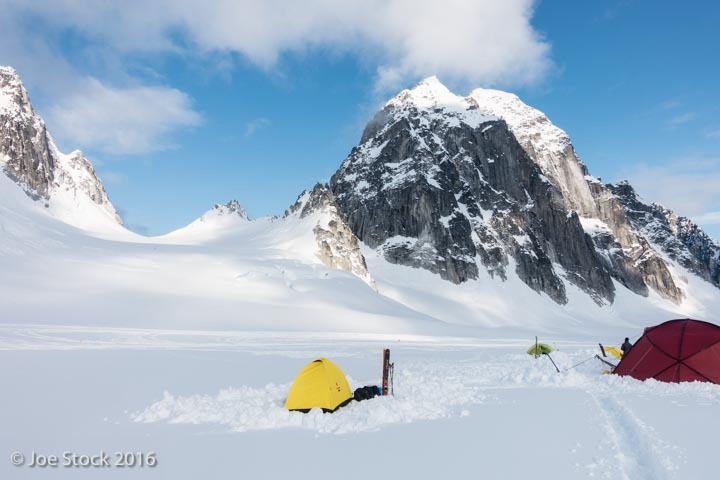 Camp on the Pika Glacier. 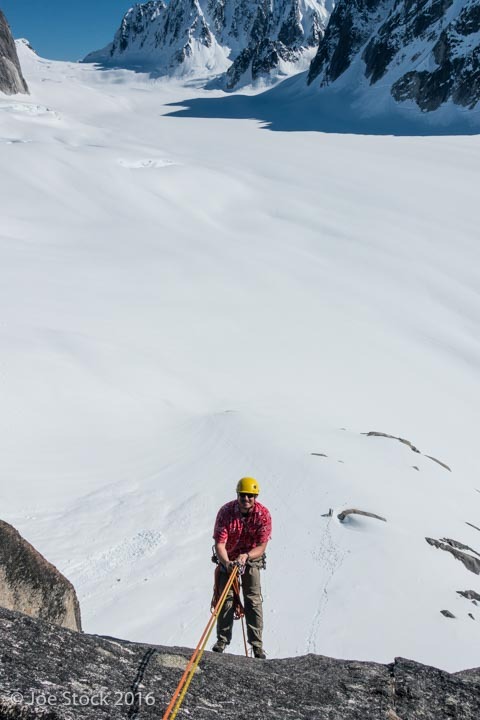 Christian Braunlich at a hanging belay above the Pika Glacier. Sonny Carlos rapping back to base. 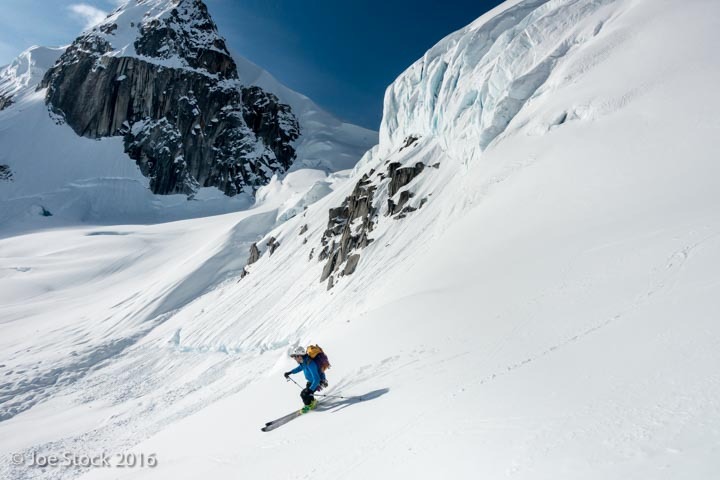 Winding through an icefall below Italy's Boot. 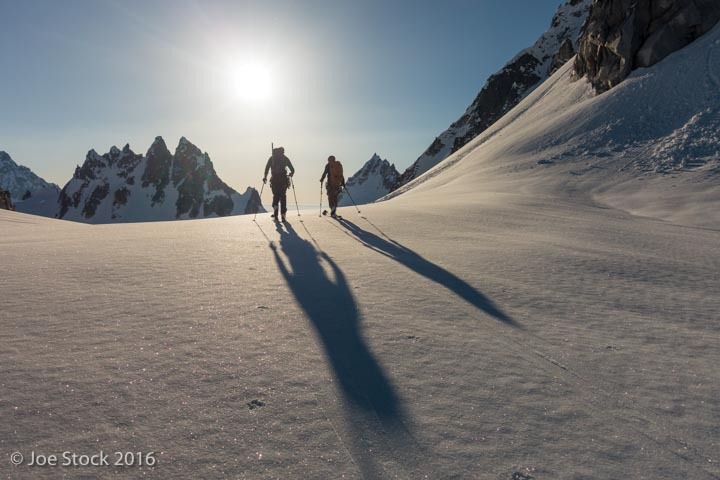 An early morning crust tour near Italy's boot. On the last morning, before flying back to Anchorage, Christian, Shane and I pumped a four-hour lap around a bunch of mountains. 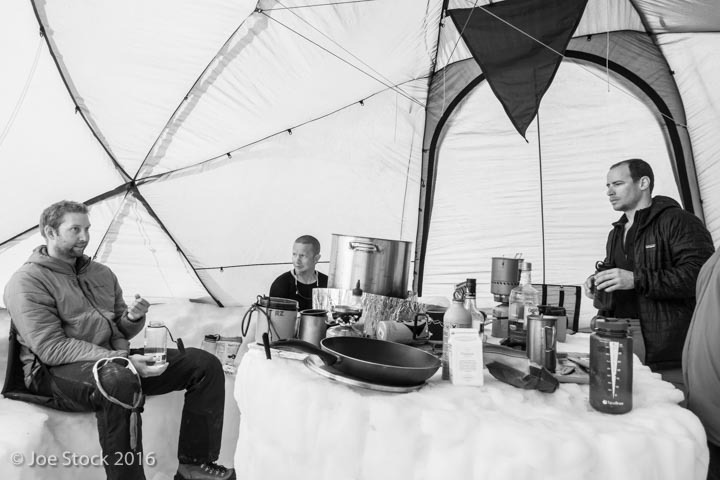 On the second trip, fifteen hours after reading a horrendous Alaska Range forecast, we were way south, where the rock is dry and Ted and Bear had to make difficult breakfast choices. Chris Bailey leading pitch two. A few days earlier he'd never rock climbed. PJs learn fast. Sieging the crux, PJ style. Bear leading, Matt Kirby cheering from above, while Chris Bailey waits his turn. Thanks for an incredible three weeks you guys!